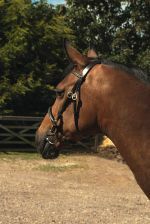 English leather Cavesson Bridle, plain, raised and padded nose and browband. 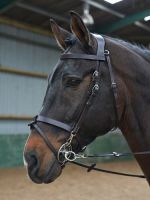 Top quality English leather has been used for this double bridle with slightly raised nose and browband. 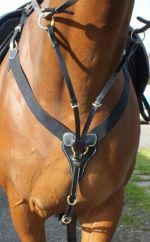 English leather In-hand Bridle with stitch detail on noseband and brass fittings. 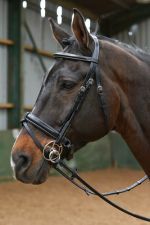 Colour and Size : Please Select...Black 60" x 1" Black 54" x 1" Black 48" x 1" Havana 60" x 1" Havana 54" x 1" Havana 48" x 1"
This leather Weymouth bridle has a browband inlaid with imitation diamonds. All buckles are made of stainless steel. 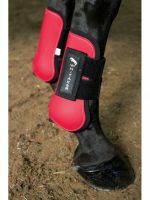 Comes with Weymouth reins and hand stops. 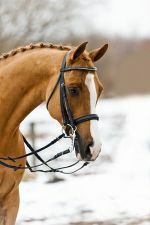 The Flash Bridle comes complete with an elegantly raised browband and noseband. 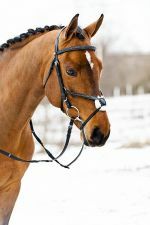 This bridle comes complete with rubber reins and ideal for everyday use. 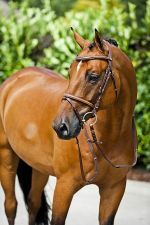 The JW21 Mexican bridle is crafted from the finest leather, with a thinner noseband relieves pressure on your horse. 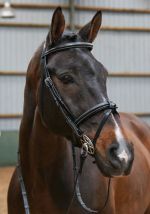 This bridle comes complete with rubber reins. 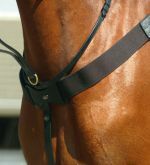 The Crank Bridle has a padded nose and browband. 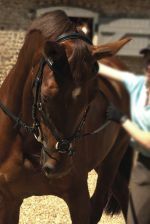 The headpiece is shaped for added comfort round the horse's poll and ears. 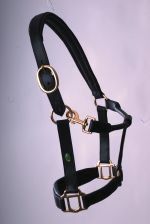 This bridle comes complete with 9 loop rubber reins. 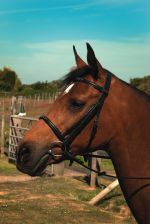 This Mexican Bridle is a fully adjustable bridle with raised browband and noseband to provide a better fit to the horse. Now featuring the unique shaped headpiece cut for added comfort to your horse's ears and poll. 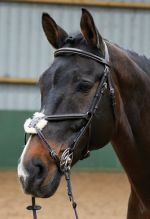 The John Whitaker Training Bridle has a wide fitting noseband, brow band and also includes our new shaped head piece for a better fit on your horse. John Whitaker elasticated 6cm Breastplate made from the finest leather and hardwearing elastic, this chest strap combines both function and style perfectly. The John Whitaker elasticated V-Check Breastplate is ideal for hunting, showjumping and eventing and now features a hunting attachment.